Part 2 will cover Large and Medium Visor type helmets. 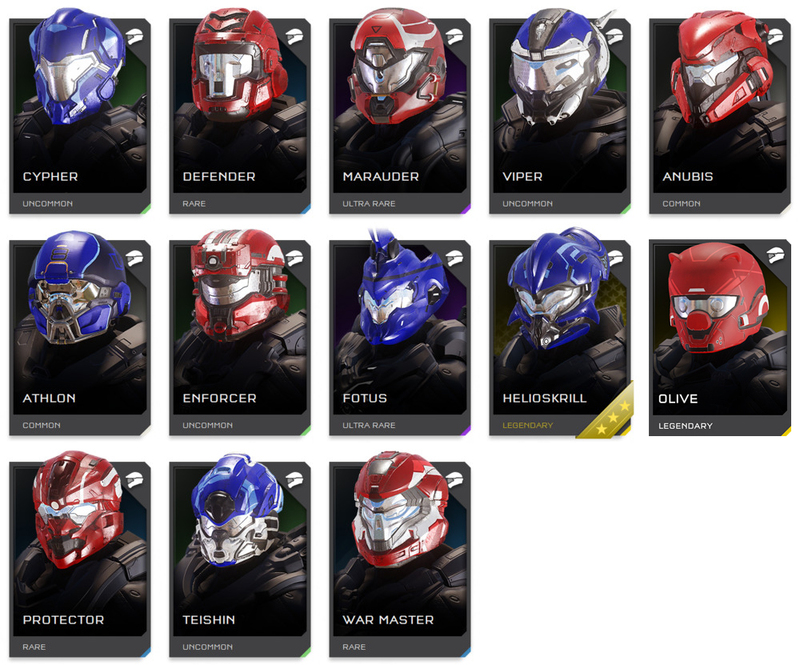 There is likely some overlap between a few helmets here and medium sized visors. I did my best to only include the larger ones. 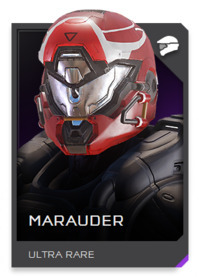 Okay, I get the nomenclature for this helmet. However, that alone will not save it. 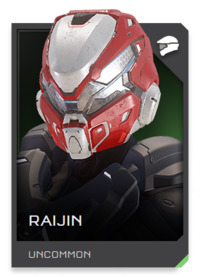 The pointed and much pronounced forehead of this helmet looks out of place to me. A little reworking could see it stay. However, I do not see this much in matchmaking. So for that and there other reasons listed above, I feel this should be GONE. This helmet is SO large and bulky. It has a mean fan etched into it by visor lines and jaw/chin design. 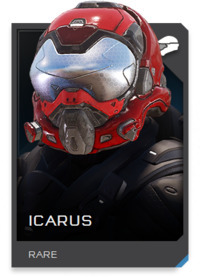 But it just doesn’t fit right, to me, in Halo. If perhaps the rounded shape wrapping around the back of the lower portion of the helmet were remove or significantly reduced, I’d say return. As it is now though, it’s got to be GONE. 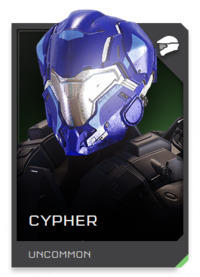 The Cypher helmet has some nice angular shapes to it. A visor that makes sense without lines to obstruct it’s view, a good jaw and chin profile. 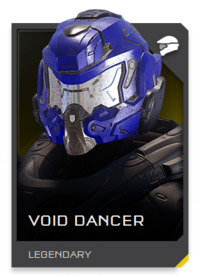 This is one of my favorites in Halo 5. I would VERY much like to see this one RETURN. 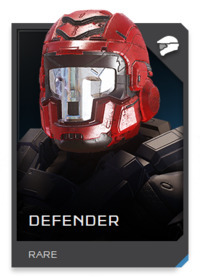 The Defender helmet is definitely popular. 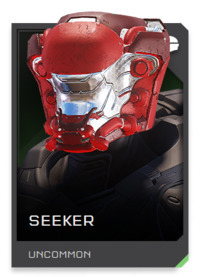 I’ve seen this helmet many times in matchmaking and have used it quite a bit myself. 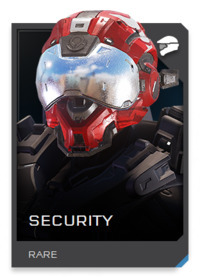 It was my go to helmet in Halo 4 and I was glad it returned for Halo 5. 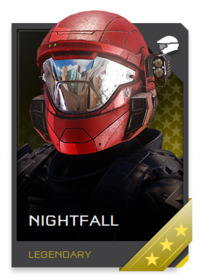 For me, this is a must RETURN for Halo Infinite. If Icarus feels familiar to you, you’re not alone. It has old Security helmet vibes for sure. The issue with this helmet though is it’s protruding pointed visor. Much of the rest of the helmet looks okay. 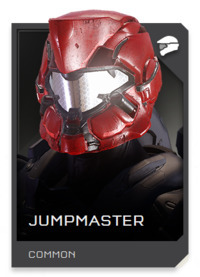 But for me, I just can’t get past that visor. So, it’s got to be GONE. Another helmet with ancient nomenclature to reference warriors of old. While I get the meaning here, it most definitely does NOT fit within Halo. I think I’ve ever only seen this ONCE in matchmaking and it looks strange. It should be as good as GONE for Infinite. I was at first stoked for this helmet! Small horns on a Spartan!! However, they have lights built into them that draw attention. Overall the design is good. Remove the lights and this should return. If it stays as is, them I’m UNSURE about it. Why oh why did 343 put several pointed forehead helmets into Halo 5? Couple that with the downward pointing visor at the top and this helmet looks like it’s sad. Gotta take a pass on it. So it’s GONE. I thought I would like this helmet more. 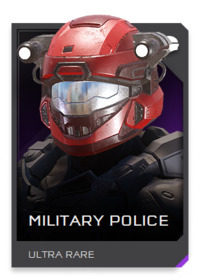 It has some good classic elements of a Halo helmet. But something seems slightly off. So I’m UNSURE about it returning. As stated above, there may be some overlap here with ones that others may consider to be in a different category. 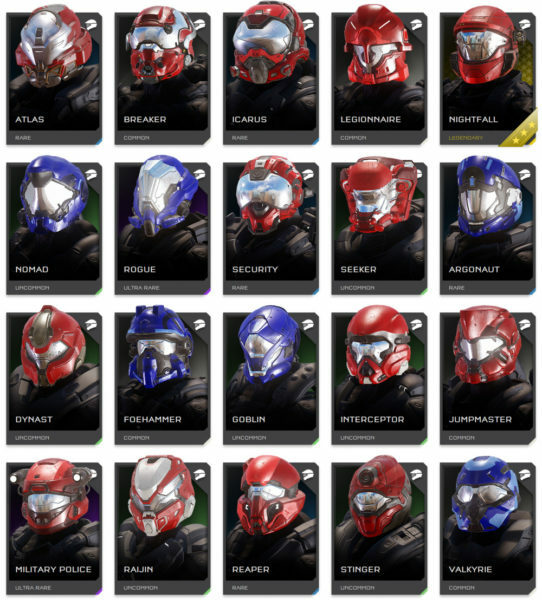 With so many helmets, I just had to make a decision and not get stuck thinking too long about any one specific helmet’s place in the categories of this series of articles. 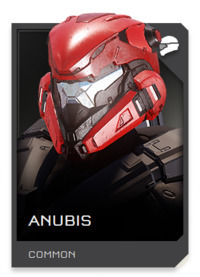 By far, the Anubis helmet has been a surprise hit. 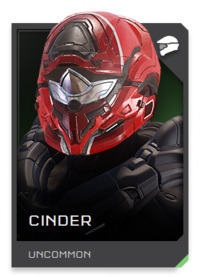 I’ve seen this helmet quite frequently in matchmaking. The angular mandibles and slightly downward pointing brow give this a mean appearance. Perhaps that’s the draw. 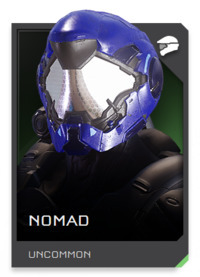 I can definitely see this helmet make a RETURN for Halo Infinite. 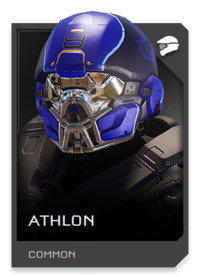 This is Halo 5’s football helmet. It’s also one of the ones used to promote the game. It has classic stylings for sure. I’d be happy to see it RETURN for the next game. 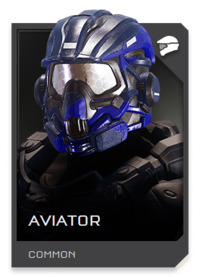 The Aviator helmet looks like it has a hat on it. The ear muffs on the sides are obvious. Also, this helmet bears a striking resemblance to Foehammer (below) in some respects. 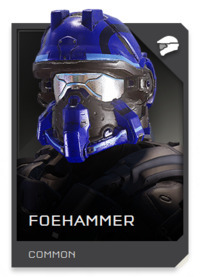 Since Foehammer is from a named character back in Halo CE, I think one of the two needs to go. Aviator however, has already been made as a toy several times over. I’m UNSURE about this one, but lean toward gone. 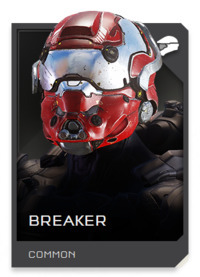 Breaker has similarities to 343’s updated Security helmet. The upward wrapping visor here doesn’t make much sense though. This could have been their new security if they would have covered that upper visor portion up. 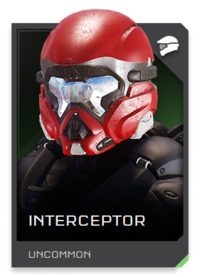 As it stands now though, this should be GONE for Halo Infinite. The only slight issue I have with this helmet is that the visor looks like it’s trying to be a crown. If the middle triangle were removed or incorporated to be flatter instead of pointed, this would be a return for me. For now, I’m voting UNSURE with a lean towards return. 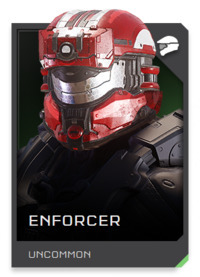 Enforcer is one of my favorites in Halo 5. Classic lines with a great attachment make for a great looking helmet. This one should RETURN for sure! 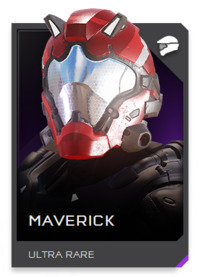 As I mentioned about Aviator above looking somewhat like this helmet, I do not see the need for both to be in the next game. Add to this that I never see the Foehammer helmet in matchmaking and this has to be a GONE vote from me. 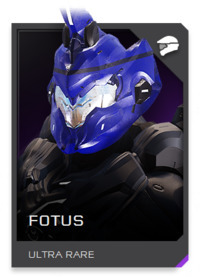 Okay, while the absurdly large horn on the helmet makes a player much more visible in game, the FOTUS helmet has quite a following. 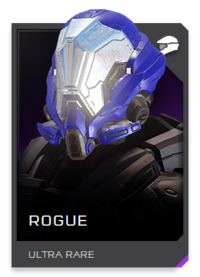 It’s even used as the default helmet in Forge. It’s one of the helmets that so ridiculous that it needs to stay in the franchise. So it should RETURN. 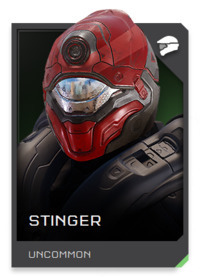 Both the Goblin and Stinger (seen below) helmets suffer from cyclops imagery. They each look like they have one large eye in the head with a downward pointing brow. Of the two though, Goblin has seen much more criticism. So this one needs to be GONE. Another one for the absurd, yet lovable place in Halo. 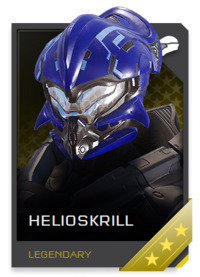 Helioskrill has quite a story behind it. Not only within Halo lore as being developed by a female Sanghelli, but also as a pre-order bonus that you weren’t supposed to be able to get otherwise. 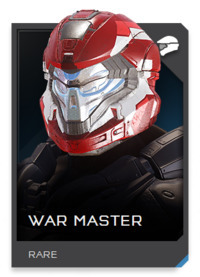 However, 343 released it later as a skinned version in a future DLC. this pissed off a lot of fans who had it as the pre-order. I had it. But I wasn’t pissed. We had Helioskrill for several months BEFORE the masses. Yeah, it was supposed to be exclusive. But come on folks, it’s just a helmet… I’m definitely for this RETURNing. 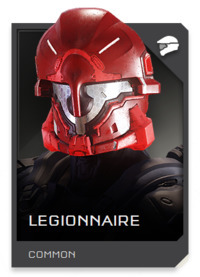 Just please 343, learn from the mistake and don’t make a helmet exclusive unless it remains so. Or better yet, just don’t make any exclusive at all, thereby being INCLUSIVE for all of your fans. 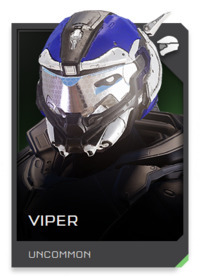 Okay, if the picture looks a bit resized, it’s because it’s fan made and not official, though the helmet absolutely is. Olive can only be obtained if you create a map in Forge that is then put into matchmaking. 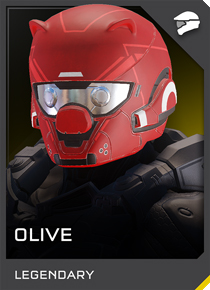 It’s a take on Tom French’s (UI and Forge guru for Halo 5) real life little piggy Olive. If the plan is to do the same in Infinite, then this is a must RETURN. Man, this is a smart design. I really like it. It seems pretty popular too. It’s a definite RETURN vote from me. This one has so much promise in one of the skins, (not pictured). It’s an oversized helmet. The forehead creeping down into the visor area does obstruct view. So I have to place a GONE vote here. This, to me, has class backs to both Aviator and Foehammer. It’s a little more futuristic. Those large depressed black areas with the lights in the cheeks (which I refer to as intakes) look really out of place. This is a GONE vote from me. 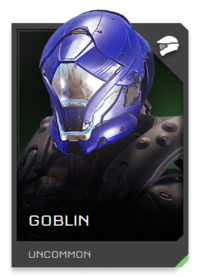 So I mentioned the Goblin helmet and this Stinger helmet having similarities. This has happened several times with other helmets as well. That’s what happens when you have TOO MANY armors in a game. Some invariably start to look like others. 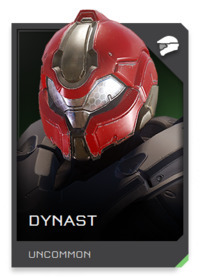 While I personally like this helmet, I do not see it used much in matchmaking. So it too needs to be GONE for Halo Infinite. I like the call back to Asian history here. It’s subtle, but present. The only thing I don’t like is the large white jaw. I’d like to see that be a secondary color choice. 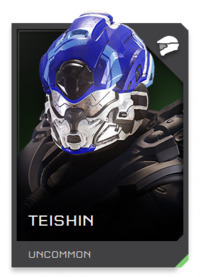 If I’m not mistaken, it is in the variant Teishin helmet. At any rate, I think this needs to RETURN. The upper half of the helmet looks good. But there is something about the flattened out jaw that just doesn’t quite look right. It’s a shame. 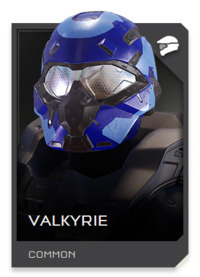 I use the Valkyrie emblem and have (or a variation thereof) for many years in Halo. 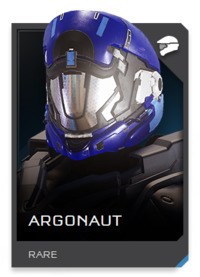 I had hoped to use it’s namesake helmet/armor in Halo, but this one just doesn’t fit. So, I begrudgingly vote GONE. Oh yeah! 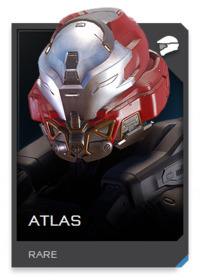 Easily one of my favorite helmets in Halo 5. I’m also a huge Iron Man fan. 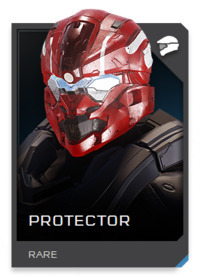 So I use this and Defender as my Iron Man-like helmets in Halo 5 Guardians. 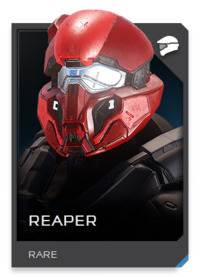 It’s a popular helmet too in matchmaking as well as in merchandise as it’s been used in toys as well as the mobile game Spartan Strike. I would be SORELY disappointed if this didn’t make a RETURN! Come back tomorrow for Part 3, where I’ll discuss No visor, limited visor and thin visor types. Which should return, which should go, any I’m unsure of, and why.